First of all, the Salzburg Festival offers a broader artistic program than any other festival: Salzburg features opera, drama and concerts. And in the selection of works and interpretations, it also offers the broadest spectrum from Mozart, the genius loci, to modern works, from classical interpretations to avant-garde experimentation, from Hofmannsthal’s Jedermann to Tchaikovsky’s Eugene Onegin. And only the best and most famous artists from all over the world are invited to Salzburg. Furthermore, visitors to the Salzburg Festival can combine the enjoyment of art with vacationing. During the daytime, the unique surroundings and the lakes of the Salzkammergut make for wonderful excursions and golfing – in the evening, the Festival beckons with incomparable performances. And finally, the Salzburg Festival has a very special flair. Salzburg’s Hofstallgasse and the entire Baroque old city center form the Festival’s backdrop. We look forward to seeing you in Salzburg this summer! 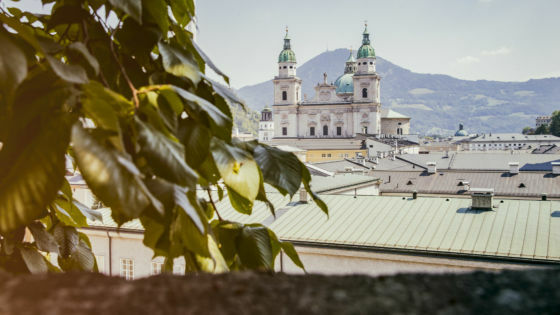 In a city that has preserved its baroque architecture in almost perfect condition and therefore is a breathtaking backdrop in itself, the Salzburg Festival presents performances of opera, plays and concerts of the highest artistic standards over a period of five to six weeks each summer. The Salzburg Festival is often described as the greatest and most important festival in the world, and this reputation is confirmed by countless superlatives: witness the number of performances and of annual visitors, or the wide-ranging programme. The birth hour of the Salzburg Festival is generally stated as 22 August 1920 when Hugo von Hofmannsthal’s morality play Jedermann was first performed on the Domplatz (Cathedral Square) in the staging by Max Reinhardt. Since that time, the Salzburg Festival has established itself as the most important festival for opera, drama and concerts. The origins, however, go back much further. The first opera ever to be performed north of the Alps probably took place in Salzburg. Prestigious presentations of music and theatre were given with great extravagance at the princely and archiepiscopal court in Salzburg; the people were captivated by the many sacred and secular plays. Until Mozart’s time dramas and singspiels were performed at the venerable Salzburg University and enjoyed great public interest; and Salzburg Cathedral had always been the scene of presentations of magnificent church music as well as church festivities which were celebrated with processions. The dramatic spectrum in Salzburg extends from the mystery and passion plays of the Middle Ages, courtly Baroque festivities to the time when middle-class theatre traditions became established. Wolfgang Amadé Mozart was born on 27 January 1756 into this dense artistic atmosphere. From 1842, when in the presence of the sons of the composer, the Mozart Monument was ceremoniously unveiled, thus also laying the foundation stone for revering the genius loci, the idea was repeatedly mooted of organising regular Mozart music festivals in Salzburg. In 1877 the Wiener Philharmoniker (Vienna Philharmonic) accepted an invitation from the International Mozart Foundation to come to Salzburg for a music festival and performed here for the first time outside Vienna. In 1887 the conductor Hans Richter spoke in the same context in favour of an annual Mozart festival based on the model of Bayreuth. In 1917, following on from the idea formulated at the end of the 19th century to hold a regular Mozart festival in Salzburg, the association calling itself Salzburg Festspielhaus-Gemeinde was founded thanks to the initiative of Friedrich Gehmacher and Heinrich Damisch in Vienna in order to raise funds for building a festival house. The idea of founding a festival in Salzburg had in the meantime already been taken up by other circles. 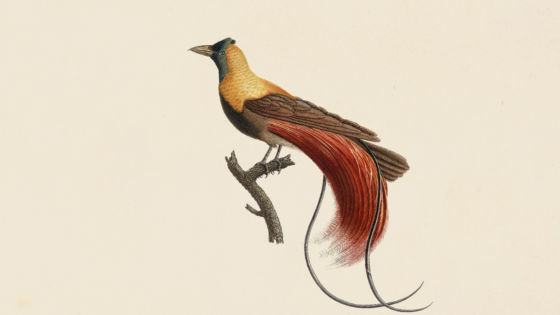 The poet Hermann Bahr was committed to the idea. Max Reinhardt, who had begun his career at the Salzburg Stadttheater (nowadays the Landestheater) and in 1918 acquired Schloss Leopoldskron, submitted a relevant Memorandum for the Building of a Festival House in Hellbrunn in 1917 in Vienna. In 1919 Hugo von Hofmannsthal published a draft programme for the Salzburg Festival. 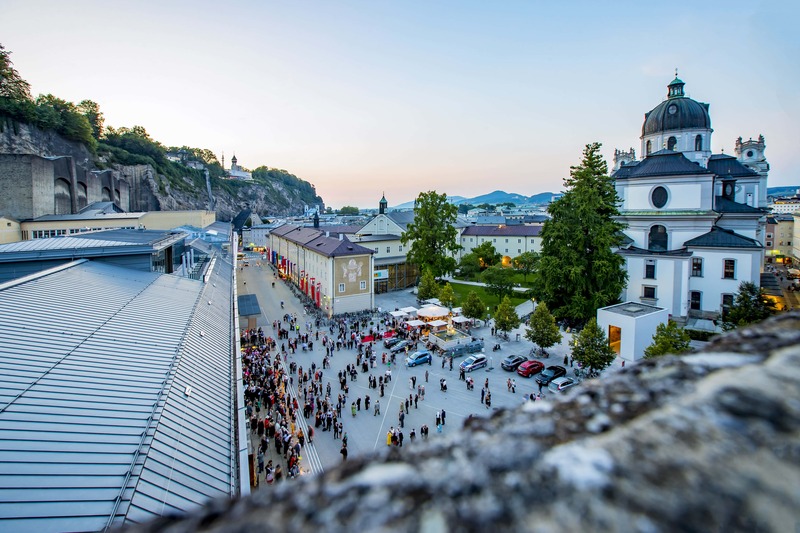 Thus the festival idea, which had originated on the initiative of the Salzburg middle-class – probably Salzburg’s most successful and sustainable civic initiative – received its intellectual superstructure from its influential protagonists in Vienna. The chequered history of the festival can be described vividly showing the ambivalent features, the breaks and the continuities. Ambivalence is most obvious between the poles of tradition and modern because the Salzburg Festival positioned itself as “an anti-modern product of modernity” (Georg Kreis, Das Festspiel, 1991), in an antagonism of bourgeoisie and progressiveness, conservative Catholicism or rather national new definition and a newly aroused cosmopolitanism, as well as a new orientation with regard to the future (cf. Michael Steinberg, Ursprung und Ideologie der Salzburger Festspiele 1890–1938, 2000). The attempt to bridge this ambivalence between tradition and modern has repeatedly sparked off efforts for the festival idea and also criticism of it. By reflecting on the magnificent cultural heritage a platitude of Austrian cultural history and cultural policy is referred to, which does, however, represent an extremely complex phenomenon. Both the interwar years as well as the post-war years are characterised by this phenomenon. Even after the horrors of Nazi atrocities, art and culture served as a catalyst so as to compensate for a reduced national sense of self-esteem. 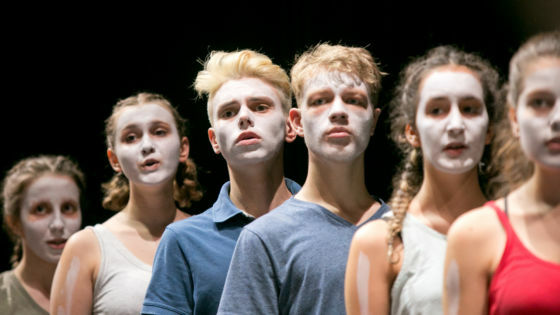 At the same time the Salzburg Festival was intended as a project against “the crisis, the crisis of meaning, the loss of values, the crisis of identity of the individual human being as well as of entire nations” (Helga Rabl-Stadler). In the middle of the First World War the resolve matured to reconcile the nations who were warring against each other by means of a festival that would give them a unifying aim. That is why peace and the belief in Europe are at the centre of the first “Appeal for a Plan for a Salzburg Festival” (1919), incomparably formulated by Hugo von Hofmannsthal: “Europeanism that fulfilled and enlightened the period from 1750 to 1850.” Which other festival can or must fulfil such a founding mission that is valid for all time? This area will be rebuilt editorially. In the meantime, more information can be found on our old website.